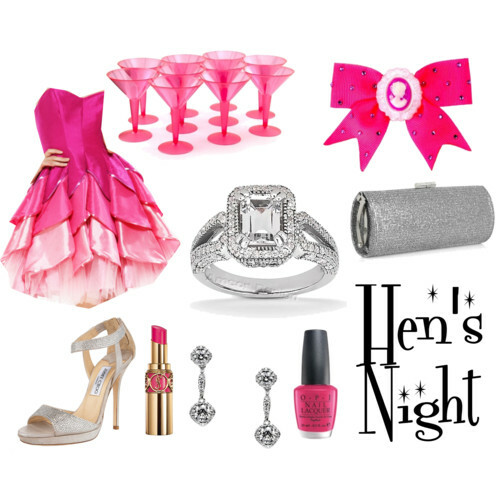 This weeks Polyvore Polly Dolly challenge is Hen's Night. 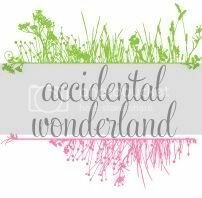 Hen's nights are so much fun! I decided to go for a pink, cocktail theme. These girls need to be somewhere with good cocktails, music and lots o fun without being sleazed on. A fun flirty dress, silver accessories, massive diamond ring, pink bow for the hair, pink lippy and nail polish. Fun!! The dress is so pretty. And that ring! OMG love the dress! And the bow! Cute!!! That dress is gorgeous! I love the layers and colour :) If you added a powdered wig you could have had a Marie Antoinette theme. Lovely Outfit. The Earrings are gorgeous. Amazing dress. I need this in my wardrobe! It looks like a flower or something. This is such a fun outfit! Well done girl! Ohhh, I officially cancel mine and claim yours - LOVE! That looks like a fun night - even if pink isnt usually my thing! I am loving your pink hues!! It's so sweet and cute!